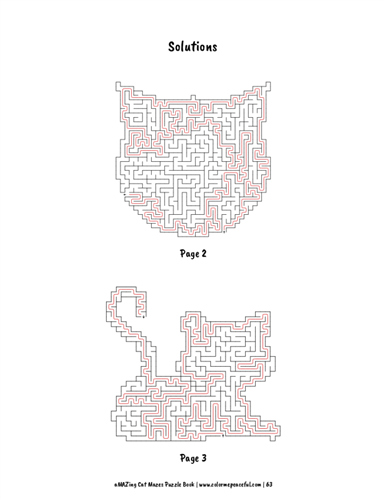 This aMAZing Cat Mazes Puzzle Book features sixty fun and challenging mazes. 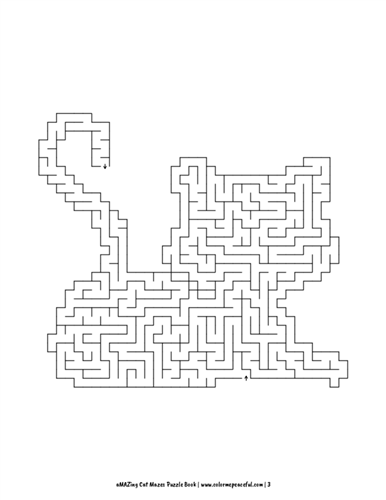 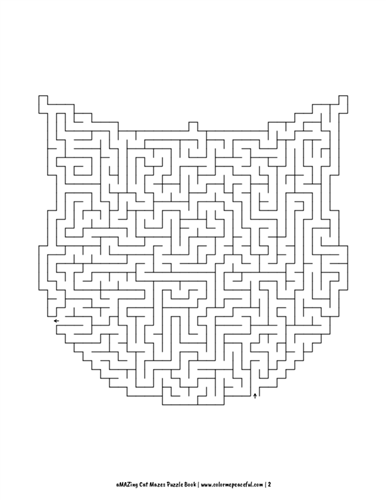 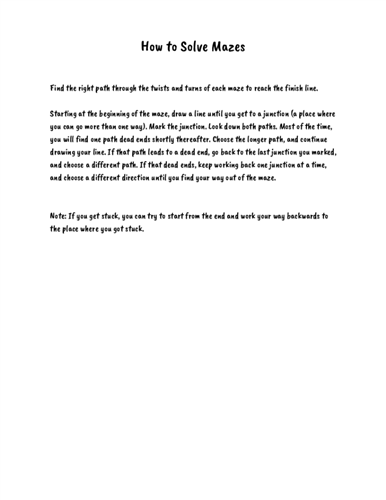 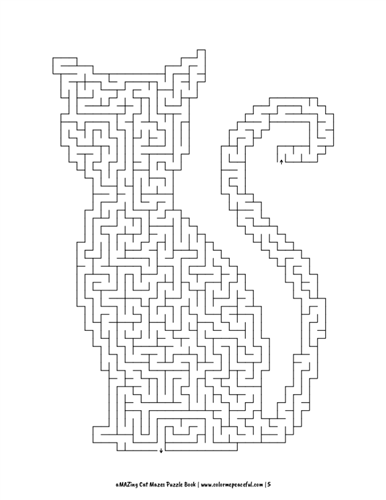 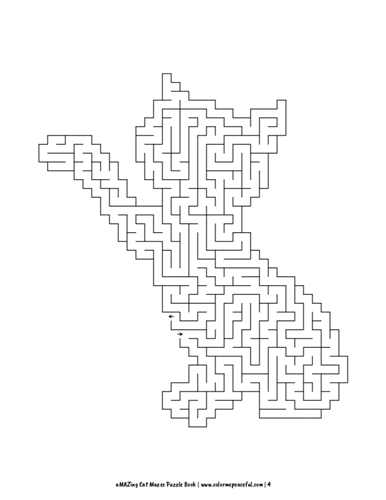 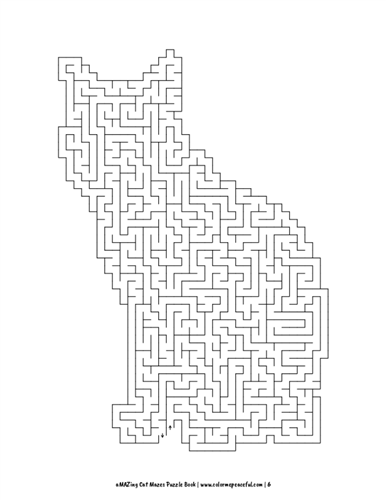 The high-quality mazes are made up of five assorted kitty shapes with the entrance and exit points in different areas to make things a bit more interesting. 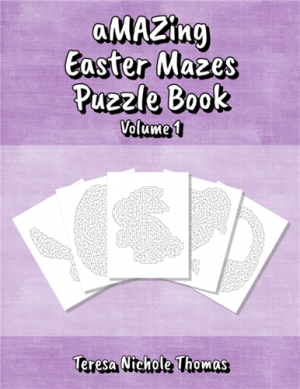 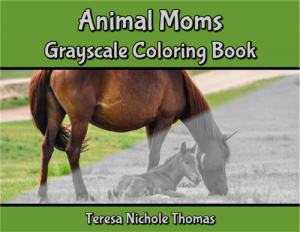 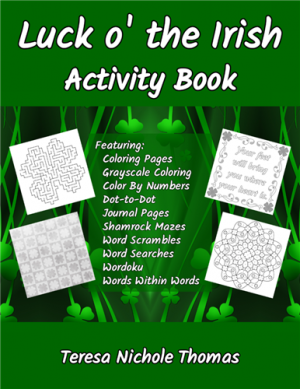 If you are ready for hours of not-too-hard but not-too-easy puzzling fun, then this book is just what you need! 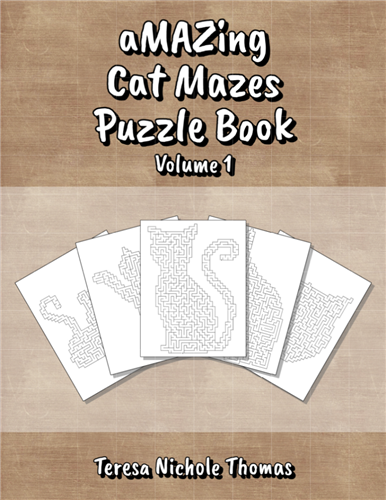 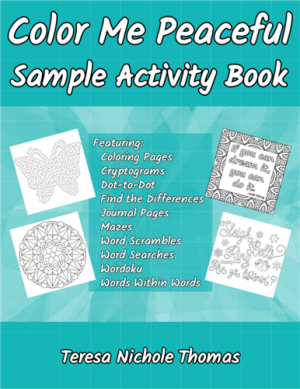 Get ready to engage your creativity and challenge your brain with the aMAZing Cat Mazes Puzzle Book!